Travel throughout southeastern Turkey in the height of summer and you’re likely to see rooftops, courtyards and gardens blanketed with color — row after row of peppers, eggplant and other vegetables drying in the sun. Later rehydrated to be stuffed or stewed, dried vegetables are an essential ingredient in the traditional Turkish kitchen, but one that can be difficult to replicate for urban dwellers without a balcony or even a sunny window to call their own. 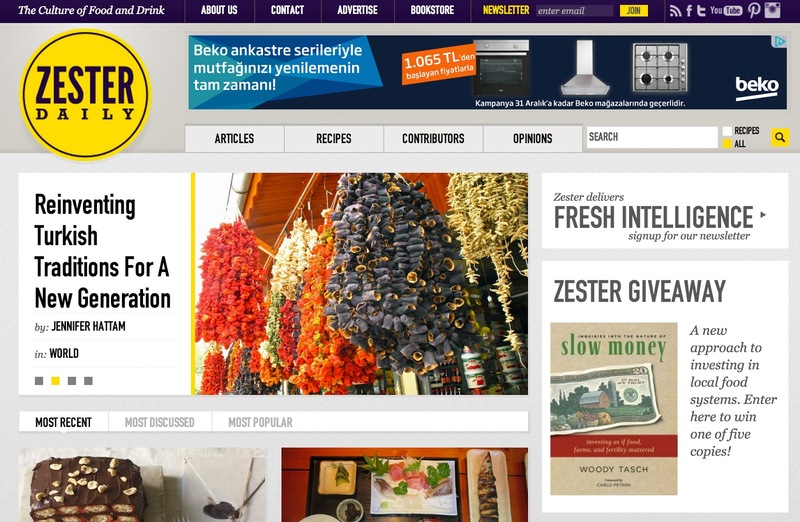 Read the rest of my article about the innovative Gastronomika collective on Zester Daily: "Reinventing Turkish Traditions For A New Generation"